This year, Wineries of Niagara-on-the-Lake launches its new event, Dig Our Roots. Happening on April 6-8, Dig Our Roots focuses on the Niagara-on-the-Lake Appellation and the area’s land, history and culture that make the wineries and wines unique and special. Ravine Vineyard Estate Winery’s Plant a Seed, Dig & Dine: Learning to plant a seedling while sipping on some sparkling wine, and then having a 3-course meal with wine pairing. Jackson-Triggs’ Savour the Sights Dinner: Having a five-course meal, each course in a different location in the winery, and wine pairing. Coyote’s Run’s Walk with the Coyotes: Walk through the vineyard and learn about their two soil types, Red and Black Paw. Then, have a wine tasting that allows you to distinguish between the two soils. Wayne Gretzky’s Wine and Whisky Dinner: Three-course meal with wine and whisky pairing while checking out the distillery and Barrel Cellar. 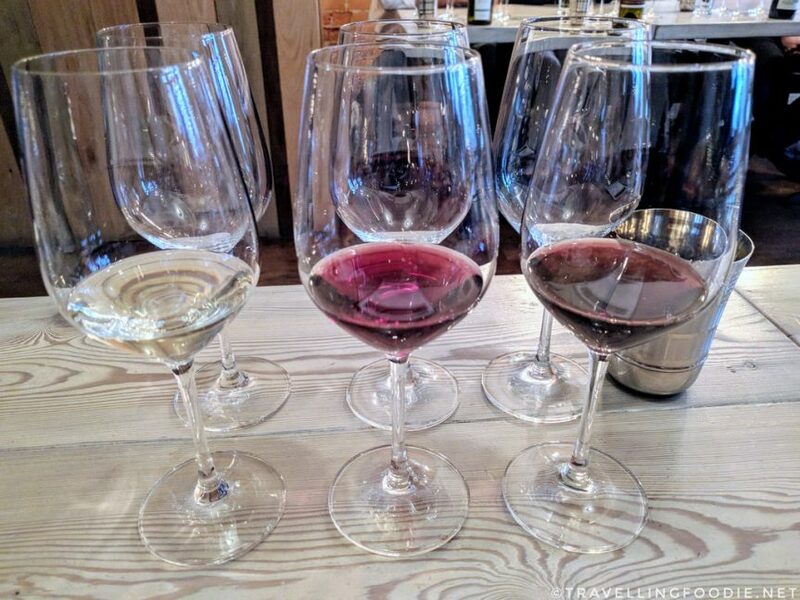 Marynissen Estate Winery’s Wine Blending Experience: Learn behind the scenes on how winemakers taste, plan and compose wines, plus a chance to make your own blend. Its primary influence is its proximity to Lake Ontario, and the moderate temperatures year-round due to the deep waters of Lake Ontario and Niagara River. Its topography provides good amount of sunlight exposure from early morning to late evening which helps promote an early start to the growing season. The wineries share the benefits of the lake, river and escarpment despite differences in geography, soil composition, elevation and climate. 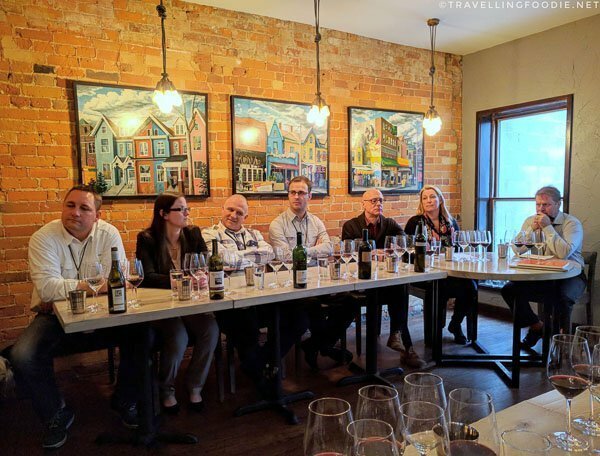 During the media launch that took place on March 5 at Thoroughbred Food & Drink, Master Sommelier Bruce Wallner moderated a panel discussion with Six Winemakers from various wineries of Niagara-on-the-Lake. Did you know? Bruce is one of five Master Sommeliers in Canada. Each of the wineries featured a wine for us to taste, and the winemaker would talk about the wine and their vineyards. Order based on the order we tasted the wine. 1. 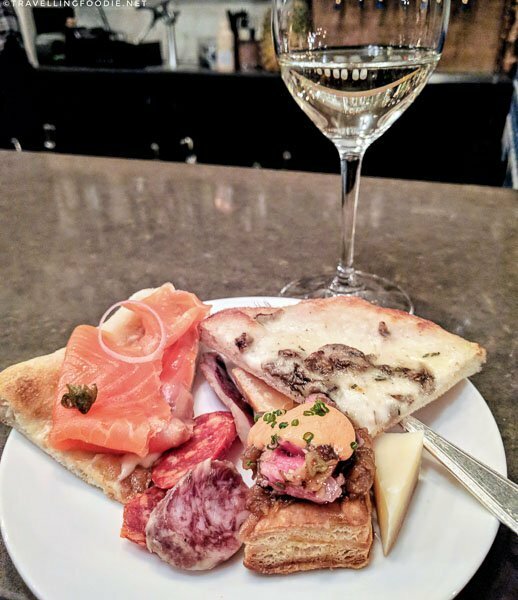 The Lakeview Wine Co.
Thomas Green, VP of Winemaking & Winery, featured their 2016 Lakeview Cellars Viognier which came from young vines, is stainless steel fermented, and has a fresh taste with touch of fruitiness. Winemaker Alyssa Bator featured the 2016 Cabernet Sauvignon Unoaked so that you can taste the pureness of the wine without the oakiness, which highlights the sub-appellation better. For Dig Our Roots, Riverview Winery’s experience is The Real Dirt on Winemaking with Alyssa Bator​ ($35): a drink-and-learn session with winemaker Alyssa Bator on the history and terroir of Riverview and Niagara-on-the-Lake with scientific overview of the winery’s unique soil variation. Winemaker Roberto DiDomenico featured the 2001 First Growth Cabernet Sauvignon which came from 10-year old vines to express the terroir. The wine has no filtration so they are the purest wines they have to “dig our roots”. For Dig Our Roots, Reif Estate Winery’s experience is Back Vintage Tasting ($50): wine tasting of four small lot back vintage wines from their original vineyard blocks dating back 1977 along with artisan cheese and local charcuterie board. Owner Greg Werstch featured the 2015 Lemberger Reserve, which features the lemberger grapes typically grown in Germany and Austria. They only do 2000 bottles of the Lemberger Reserve, which are fermented for 18 months in oak barrels. Because of the Niagara-on-the-Lake appellation, these grapes have an early ripeness potential, allowing it to be heavy red before December. For Dig Our Roots, Between the Lines’ experience is We Dig Wine Here ($95): a hayride tour of the vineyard, a 4-course dinner with wine pairing (including the 2015 Lemberger Reserve) at the Barrel Cellar while learning about the story and history of Between The Lines. Ben Nicks, Hospitality and Sales Associate, featured the 2013 Stratus Tannat which is one of the hardest to make for Stratus at 28.3 Brix and 14.4% alcohol. They only make 70 cases of the Tannats, which are fermented in oak fermenters. One unique quality about their Tannat is it is much tamer than normal with less tannin. 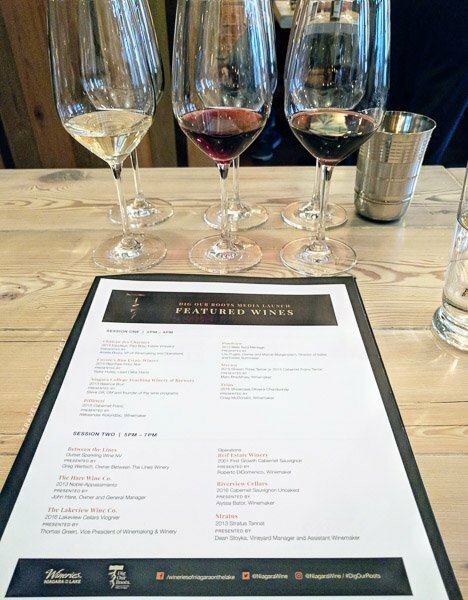 For Dig Our Roots, Stratus Vineyards’ experience is Tried and True, Quirky and New ($25): a wine tasting of six wines (classic and uncommon) with a seminar to learn about Stratus and the winemaking process. 6. The Hare Wine Co.
Andrea Kaiser of Wineries of Niagara-on-the-Lake and Reif Estate Winery presented the 2013 Noble Cabernet Franc (Appassimento Blend) which is one of their vintage wines. Appassimento is a method for drying harvested grapes to increase the intensity of the complexity of the grape. For Dig Our Roots, The Hare Wine Co.’s experience is Dig Your Roots Dinner at the Hare: A Blend of Harvest and Heritage ($110): a seven-course tasting menu with wine pairing while learning about Niagara-on-the-Lake and its appellations, followed by an Icewine reception to meet Chef Ryan Crawford of Backhouse and Owner and Winemaker John Hare of The Hare Wine Co.